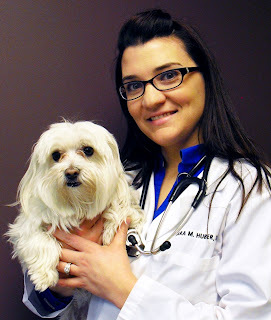 Meet Dr. Sara Huber of Leawood Plaza Animal Hospital, the practice that keeps our herd so robustly healthy. This woman is passionate about her charges. And when we mentioned recently that we had some questions about pets and dental health, it was clear that this is a subject she's also pretty keen on! 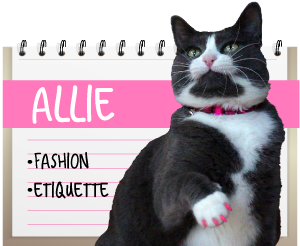 A Tonk's Tail: Do you have any pet peeves about the way most pet owners view dental health? Dr. Huber: Actually, I have two! The first one is the idea that our pets don't really feel or respond to dental pain to the same degree that humans do. This could not be more false. Studies performed in the 90's showed that pets react to the same level of stimulation and have the same physiological responses to pain as humans. Cats will instinctively mask pain to avoid predation (a survival tool from their days in the wild), so it may appear as if they are not in pain when they in fact feel quite a bit of discomfort. 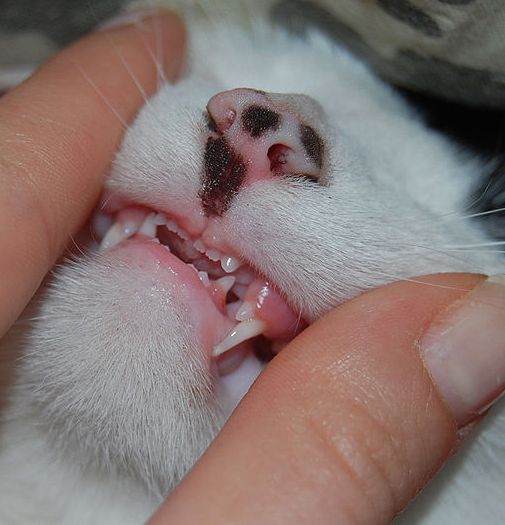 If you see a lesion in a pet’s mouth that may cause pain, address it. 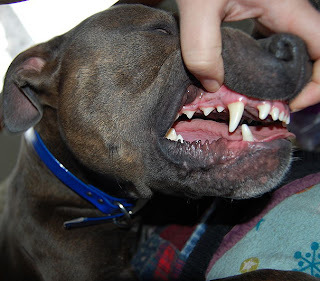 It is remarkable how many people will say that they notice a tremendous improvement in their pet's attitude and behavior after addressing dental problems. ATT: You mentioned a second peeve? DH: Yes. It's when I hear, "he only has mild tartar buildup, its not a big deal." I often hear pet owners state that a pet has terrible breath but only mild tartar buildup so they don't feel a dental procedure is necessary quite yet. The problem is that by the time you begin to see build-up on the tooth, you’re often seeing just the tip of the iceberg. Teeth that do not appear diseased can have disease under the gum line that goes all the way to the root. This can only be found by a combination of gentle probing deep below the gum line during the oral exam and cleaning process. This physical exam, combined with radiographs (x-rays) can reveal disease to the root and even the surrounding bone. It’s important to remember that tartar builds up because of the presence of bacteria in the mouth. When the gums and/or roots are diseased, this can then allow a direct route for bacteria to access the rest of the body. ATT: Which leads to the next question: Can dental disease negatively impact overall health? DH: In a word, YES. 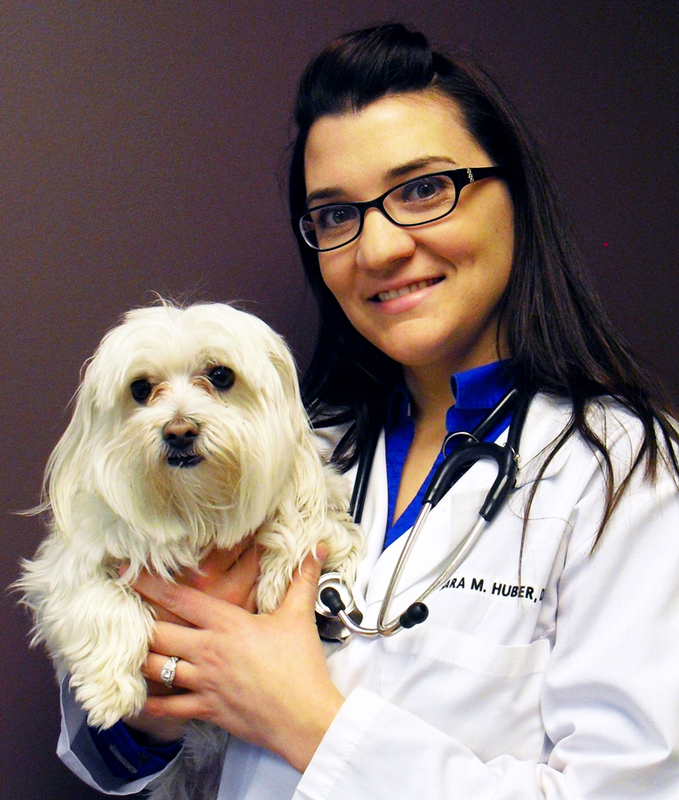 There has been a lot of research done on this particular topic in both human and veterinary medicine. While it has been difficult to demonstrate a direct cause and effect relationship between periodontal health and systemic health, the evidence suggests that this is the case. There have been numerous studies that show an association between oral health and systemic health. If you think about dental disease and what causes it, this makes perfect sense. Periodontal disease (or disease of the underlying support structures of the tooth) is caused by plaque (bacteria). This plaque becomes mineralized and causes calculus. As time passes, gingivitis (inflammation of the gums) develops and bacteria gain access to the underlying structures of the tooth. This can cause bone loss and damage to the root. There are numerous blood vessels associate with the teeth and gums. As dental disease progresses, the bacteria associated with the disease can gain access to the blood vessels and circulate through the system. Research suggests that this can cause disease in the heart, kidneys, liver, and other body systems. Veterinarians will often give animals an injectable form of antibiotic while under anesthesia for a dental cleaning and send pets home on antibiotics to help prevent the spread of harmful oral pathogens. 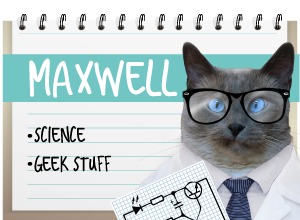 ATT: Let’s talk for a minute about older pets and dental health. Are there risks associated with age? 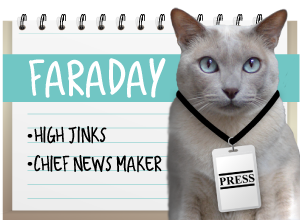 DH: I often have clients that have come from other vets tell me that their vets tell them "my cat is too old for anesthesia and the risks outweigh the benefits of the dental procedure." I then ask them to list the specific risks they’re concerned about and any supporting documentation... and they do not have an answer for me. I guess you could say I have a third pet peeve: AGE IS NOT A DISEASE! While it is true that older animals metabolize anesthesia differently than younger animals, age does not preclude a pet from undergoing anesthetic procedures. Every pet that goes under anesthesia at our clinic (from infant to geriatric) must have a pre-anesthetic blood panel performed. This will often unmask underlying disease that should be addressed before performing anesthesia. All pets also have a pre-anesthetic ECG (electrical tracing of the heart) to rule out any problems with heart rate or rhythm that might not be heard on a normal physical exam. We tailor our anesthesia protocols for each particular patient, taking into account age, underlying disease, respiratory compromise, etc. And while under anesthesia, all animals have a continuous ECG, a pulse oximeter reading (oxygenation of the blood), a respiratory monitor, and a blood pressure taken every 3-5 minutes. This ensures that we have taken every possible measure to keep each pet safe and healthy while under anesthesia. When a pet is recovering they are monitored by a technician for any distress and a veterinarian is always nearby to address any emergent issues. DH: This brings me to another fact I’d like to discuss: Senior ailments can actually be compounded by dental issues. Many senior pets suffer from illnesses such as arthritis, kidney dysfunction, liver disease, cancer, etc. that will affect their appetite and attitude. As I mentioned before, dental disease can often cause significant oral pain and can interfere with an animal’s ability and desire to eat. Consuming a significant quantity of quality calories and protein is essential for a cat that has a systemic disease. If the cat has oral pain, it is often not willing to eat and this will have a negative effect on their ability to fight disease. 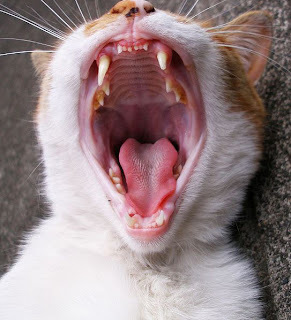 Once dental disease is addressed, the painful stimulus in the mouth is removed and the cat will often show a marked increase in food consumption and improvement in their particular disease. I cannot prove this as being a direct cause an effect relationship but I have seen many senior cats with severe periodontal disease come in with significantly elevated liver enzymes. After their dental cleaning, these enzymes will often be markedly reduced (if not normal). Since Mario is toothless (had stomatitis already when we adopted him) we are a big advocate of dental health., We are so fortunate that our regular vet recognized Mario had a larger problem than she was able to treat, so she referred us to an animal dentist. It was the dentist who explained that when an animal reaches that level of dental problems, that animal should really be referred to an animal dentist. Most vets are simply not equipped with the right equipment to take care of stomatitis. If they pull a tooth, every last fragment of that tooth has to be cleaned our - not even a minute particle should be left behind. Most vets simply don't have the equipment to get those tiniest of particles that are left behind, thus the animal continues to have infections, which leads to other more serious diseases. Thank you for bringing this problem to the forefront again. Mario suffered from pain probably a good month before we really caught on to he was hurting. We are so thankful that our regular vet referred him to a dentist, so he could have the best care. We are happy to report now that Mario is a healthy, happy boy, but he has no teeth. By the time his problem came to light, it was too late to save his teeth. But he's getting along just fine being toothless. We could not agree more! We're very very lucky to have such experienced vets at our practice. Not only do they have human-grade anesthetic equipment that came from a hospital(human)in our area, they also have x-ray equipment. This is very very critical for the exact reason you mention: to ensure that the entire tooth is extracted. We've also heard tales that some vets do not require blood work prior to dentals. This is scary to us, since so often the complications that arise due to anesthesia can be found in a full blood panel. Our vet recommends chicken wings raw but peeps refuses on the grounds that lord knows where they will end up? Probably buried in the bed. Drats! Have a marvelous Monday. Whoa! I'd eat that vet alive. TW wants me to get a dental workup but my last experience at the vet was so traumatic, she's scared to take me back. Traumatic for both me and the vet as I bit her thumb so hard, she couldn't stop the bleeding. Traumatic for me cos they caused me to mouth breathe and have respiratory distress. TW is looking for another vet but I won't let them take blood or even examine me. I am one feral kitty keeping it real. Mommy's experience with brushing us kitties teeth has been, well, pretty unsuccessful. Cosmo and Ling foamed spectacularly and then covered Mommy with foam. MOL. She does check our mouths including smelling our breath regularly. Mommy is trying to get a more appealing toothpaste to see if we'll cooperate. I completely agree that responsible health care for our pets includes their TEETH!!! Great interview guys! This vet looks like a winner :) I love her comment "Age is not a disease!" So true. Wow, that vet really knows her stuff. Thank you sop much for this informative interview, friends. So much important information here! Your dental series has been very informative, thanks! We are in the midst of dental treatments. This will be ongoing for a while as there are 6 of us. When I had a dog, I gave her a marrow bone for breakfast every morning. She loved chewing the meat and fat off then licking out the marrow. She had the whitest teeth, sweetest breath and shiniest coat after I began giving her the bones. I received so many compliments on her. The butcher would cut up a cow thigh bone to the size I wanted, but you can find them in the grocery stores too. It was a great way to maintain her dental health. Such an informative post! I wish I had read this years ago when I first got Austin! It wasn't unitl I changed vets that his problems started to be addressed!